Many Brits are sniffy about Corfu but never those that have visited the island's northeast corner. Far removed from mass high-rise tourism, it is a place of tiny unspoilt coves, lush green interiors immortalised by Gerald Durrell, white pebble beaches, friendly tavernas and a choice of villas among the best in the Med. Corfu has been our heartland since 1972. Our exceptional portfolio of award-winning villas, concentrated in the north east corner of the island, includes stylish homes and properties perfect for family holidays by the sea. Here are some highlights from our latest collection. 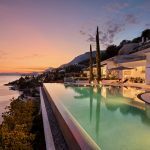 In a glorious panoramic location, the fabulous Kalamaki Bay House, sleeping up to 10, effortlessly marries traditional elegance with modern luxury. The villa boasts a spectacular swimming pool and the sandy beach below is perfect for children. Perfect for families with teenagers and two families travelling together, Villa Indiana sleeps up to 11 and is located in a fantastic location within walking distance of Kassiopi, with its tavernas, shops and water sports. The style is sleek and modern and we love the outdoor terraces, the treehouse and direct access to Coyevinas beach. We are delighted with the addition of Pythaia to our Corfu programme – very few houses offer smaller groups of up to 6 people the opportunity to stay in a private spot with stunning views which is in such easy walking distance of the shops, tavernas and boat hire opportunities in the charming village of St Stephano. Yialiskari Bay House, sleeping up to 12, is one of our most popular houses, tastefully furnished in muted colours, with extensive wrap-around terraces offering exceptional views across the sea. The glistening bay and sheltered anchorage of Yialiskari are a short stroll through the olive groves and the amenities of the village of Kalami can be reached by boat. See our full selection of villas in Corfu. Find out more about the island or request a brochure.